Have no fear! 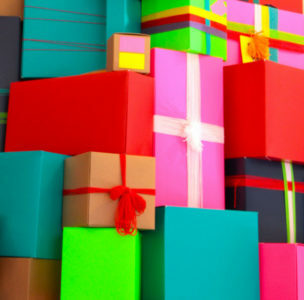 Whether you’re late in your Chanukah game or desperate to figure out the office Secret Santa exchange, we’ve got you covered with small gift ideas perfect for the traveler in your life. 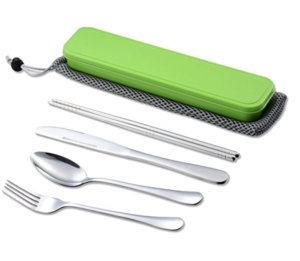 A portable utensil set. Perfect for impromptu picnics or just trying to feel a bit more civilized in coach. This kit even includes chopsticks! 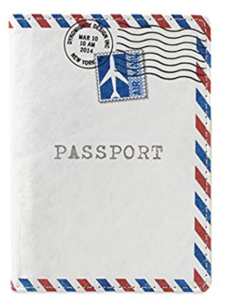 A cool passport cover. Take a peek around the passport control line and you’ll notice that most of the cool kids have covered their passports up. Protip: Marshall’s and TJ Maxx often have an eclectic mix for $10 or less. 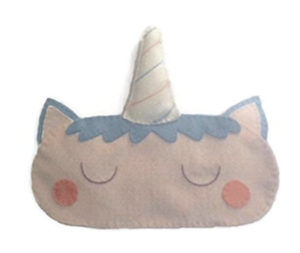 An interesting eye mask. Not everybody’s going to be willing to wear a unicorn on the plane, so keep your traveler’s style in mind. Eye masks make long haul flights or overly lit hotel rooms more bearable. Maps. Yes, Google will get you there. But, there’s something romantic about pouring over a map. 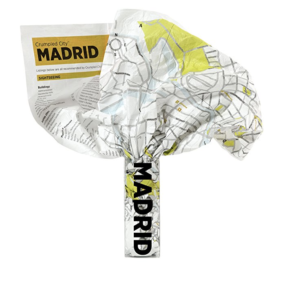 Amazon’s your best bet for finding plain ol’ street maps or fun ones like this crumpled city series. Organizational Tools. 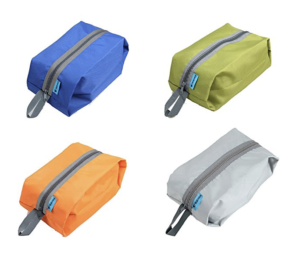 Whether it’s a new stash of 3oz refillable bottles for the TSA-approved “freedom baggie” or a new set of packing cubes, you really can’t go wrong with tools that will help your traveler stay organized on the road.